The Glass-House supported Hastings Pier and White Rock Trust to explore the design process for the redevelopment of Hastings Pier. 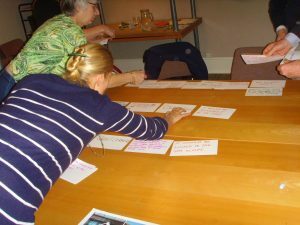 We delivered two bespoke workshops: on design brief development and on community engagement in the design process. Hastings Pier and White Rock Trust, which later constituted as the Hastings Pier Charity, are a community-led organisation whose main aim was to bring Hastings Pier back into use as a community facility. Their vision was of a pier which fulfills the traditional functions of a pier but also provides educational facilities and is an anchor for the regeneration of the wider area – part of which encompasses the most deprived area in the South East of England. 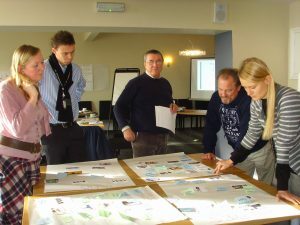 Working with Glass-House Enabler Daisy Froud, (then of AOC Participation), the first workshop helped the group to think about their draft design brief – the document they would give their architect which would communicate their vision and desires for the pier. 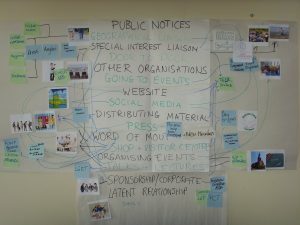 The workshop included a series of activities to get the group to begin prioritising their wishes for the pier, while building a collective vision for the design and feel of the pier. 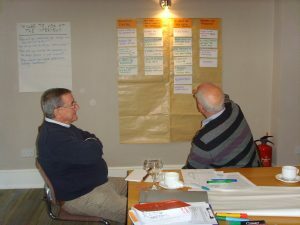 The second workshop gave the group the opportunity to plan their strategy of community engagement and discover new and interesting ways to work with a variety of local people. During the period of Glass-House support, the pier suffered a major fire which destroyed much of the structure. Inevitably, this had an affect on the Trust’s priorities for the redevelopment, but in a way has had some positive impact as it raised awareness of and interest for the pier’s redevelopment. The Glass-House provided the group with independent support at the crucial early stage of their project, helping to give them a framework for developing a design brief and community engagement strategy and the confidence to appoint the right architect. 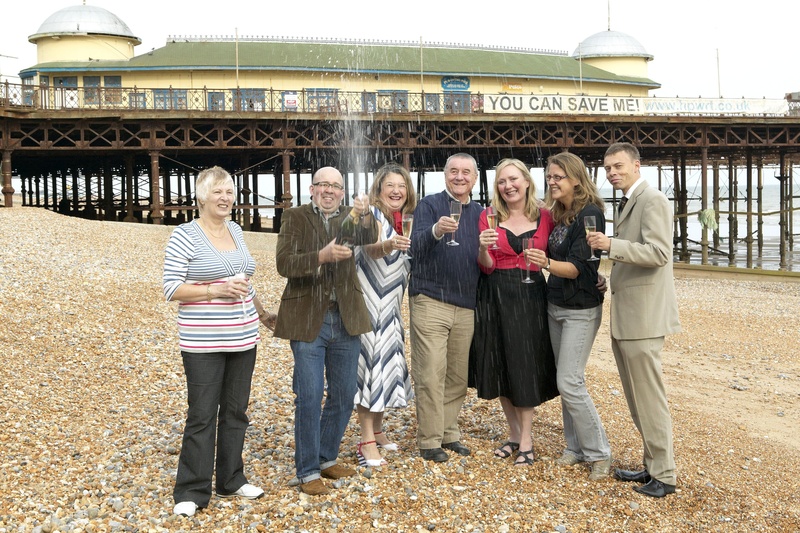 Despite considerable challenges, Hastings Pier Charity succeeded in their aim to bring the pier back into community use, with the support of a range of support and funding bodies, and a community share scheme (which raised almost £600,000 through over 3,000 shareholders). The Pier reopened to the public on Wednesday 27 April 2016.